SPACE ECHO-THE MYSTERY BEHIND THE COSMIC SOUND OF CABO VERDE FINALLY REVEALED! In the spring of 1968, dockers in Baltimore, loaded cargo onto a ship bound for Rio De Janeiro, in Brazil. For the dockers, it was just another day at the “office.” This was what they did, day in, day out. No longer did the dockers even wonder what the ship was carrying. The only dockers who might have worked out what was heading onto the ship, were those that were interested in music. They would’ve recognised brands like Farfisa, Hammond, Korg, Moog and Rhodes. These companies manufactured equipment for making electronic music. This included electronic pianos, organs, synths and a myriad of effects units. Their destination was the ESME Exhibition in Rio De Janeiro. The ESME Exhibition would be the perfect showcase for all the manufacturers’ latest musical wares. There were many musicians in Brazil, including a number who would want to try, and hopefully buy the latest equipment. So would many of the shops selling musical equipment not just in Brazil, but across South America. This included in Columbia, which along with Brazil, the various manufacturers had earmarked as one of the most potentially lucrative countries in South America. However, the manufactures had set their sights high, and were aiming to win orders from across South America. It was a vast, and potentially lucrative market for their products. That was why, it was of vital importance that the ship set sail on time. It looked as if Lady Luck was on the side of the manufactures whose equipment was heading to Rio De Janeiro. The sea was calm, which was perfect as the ship set sail for Rio De Janeiro on 20th March 1968. As the ship headed out of the port, the manufacturers breathed a sigh of relief. If all went to play, there would be plenty of time for the ship to make its way to Rio De Janeiro. There had been enough time for the manufactures to setup, test and familiarise themselves with what was complicated equipment. This they hoped would sell in vast quantities. That was the plan anyway. Alas, it didn’t quite go to plan. Later on the 20th March 1968, the cargo ship carrying the musical equipment disappeared from the radar. This was strange, given it had been a calm, clear day? Maybe this was just a minor blip? Sadly, it wasn’t. The ship carrying the precious musical cargo seemed to have vanished from the face of the earth. Everyone from the shipping company to the coastguard and the manufacturers whose cargo was en route to Rio De Janeiro couldn’t fathom out what had happened? Had the ship sank or had it been plundered by modern day pirates? Nobody knew. All became clear, a couple of months later, when villagers of Cachaco, a village on the Sao Nicola Island of Cabo Verde looked out, and discovered the missing ship. However, it hadn’t washed up onto the beach. Instead, it had come to rest in a field. Not any field though. This was field that was eight kilometres from the coast. Given this was far from an everyday occurrence in Cabo Verde, nobody had any idea how to deal with the situation. So a decision was made to consult the village elders. The wise men’s solution was to open the ship, and see what was inside. Fortunately, by then, the colonial police had arrived and taken charge of the situation. The first thing the police did, was to secure the scene. After this, Portuguese scientists were asked to investigate. They took several weeks to investigate how the ship had found its way into a field eight kilometres from the coast. None of the conclusions were even remotely possible, including that ship might have fallen from the sky. Equally implausible was a fact that was kept from villagers. Scientific reports claimed that traces of ‘cosmic dust’ had been found onboard the ship. The bow of the ship, the report claimed, looked as if it had been exposed to extreme heat. This it was claimed, was similar to traces left by meteors. The situation was getting stranger by the minute. However, suddenly, things weren’t adding up. If theoretically, the ship had reentered the atmosphere at such high speed, the ship would’ve been totally destroyed. Rather than a ship sitting in the middle of a field in Cabo Verde, all the would’ve remained would have been a few particles. The mystery deepened. At least, a decision had been made to open the ship. So a team of welders were drafted in, and given the job of opening the various containers. As the welders worked, tension and excitement filled the air. Everyone wondered what was inside of the containers? Eventually, the welders had cracked open the first container, and discovered the musical equipment that had been destined for the ESME Exhibition in Rio De Janeiro. When the locals heard what was inside the ship, suddenly the anticipation and excitement turned to disappointment. The villagers had no use for electronic musical equipment. Even if they did, there was no electricity in that part of the island. So a decision was made to store the equipment in a local church. This was only a temporary solution, as the equipment would’ve to be moved from the church for mass on Sunday. Somehow, a solution had to be found within a few days. During that period, Amilcar Cabral, the anti-colonial leader made a decision as the future of the electronic musical equipment. It wasn’t his place to do so, but this didn’t stop him. He wanted given out in places where there was electricity. Other instruments should be given to children with a sense of rhythm, or those that had shown an aptitude for music. These children were given complex and expensive pieces of electronic musical equipment. They were being thrown in at the deep end, and it was a case of sink or swim. Some of the children swam, and went on to play an important part in the Island’s musical future. They’re regarded as having played a part in modernising local rhythms, including coladeras, funana and mornas. That came later, as these rhythms were said to be banned by the Island’s colonial runners until 1975. By then, some of the beneficiaries of the musical equipment were making good use of their unexpected gifts. This included Paulino Viera who became one of the most innovative musicians in the history of Cabo Verde. Paulino Viera features on a recently released compilation. This is Analog Africa’s Space Echo-The Mystery Behind The Cosmic Sound Of Cabo Verde Finally Revealed! 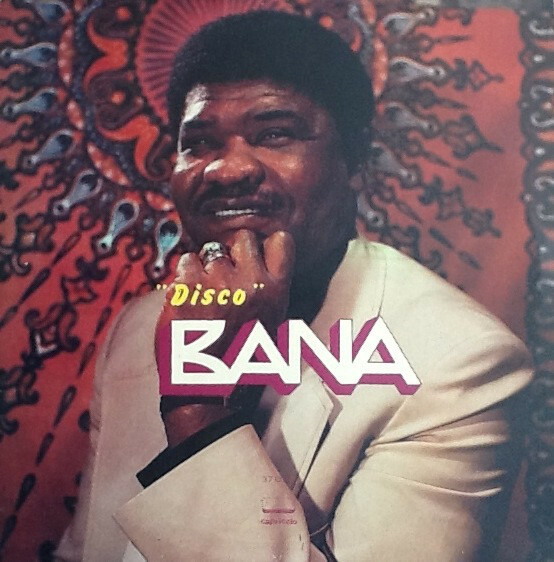 It features fifteen tracks, including Bana, whose guitarist was Paulino Viera. Other contributors include António Sanches, Dionisio Maio, Fany Harvest, Pedrinho, Tchiss Lopes, Abel Lima and Américo Brito. They’re among the most important musicians in the history of Cabo Verde, so it’s fitting that they feature on Space Echo-The Mystery Behind The Cosmic Sound Of Cabo Verde Finally Revealed! It’s an eclectic compilation. Opening Space Echo-The Mystery Behind The Cosmic Sound Of Cabo Verde Finally Revealed! is Pinta Manta by António Sanches. He’s a purveyor of funana music. This was a risky business until 1975, when Cabo Verde gained its independence. Before that, funana musicians risked arrest by the PIDE, the Portuguese security services. However, by the late seventies, Cabo Verde was a very different country, and one where making music was a much safer occupation. 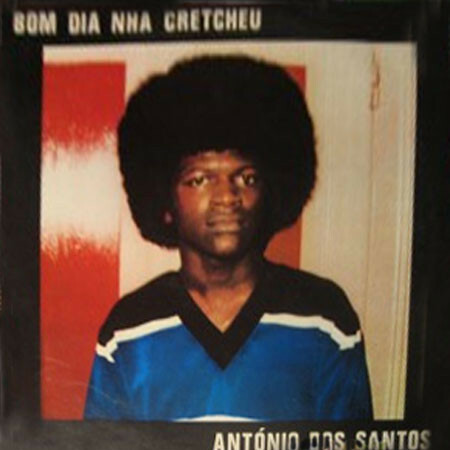 One of the musicians whose career began around this time was António Sanches. He recorded the album Buli Povo, which he self-released in the early eighties. The closing track is Pinta Manta. It’s urgent and gallops along on a track that’s raw but features an impassioned vocal. Adding a moderne sound, is a synth that beeps, buzzes and squeaks. It provides an unusual counterpoint on a track where two coutures collide successfully and joyously. 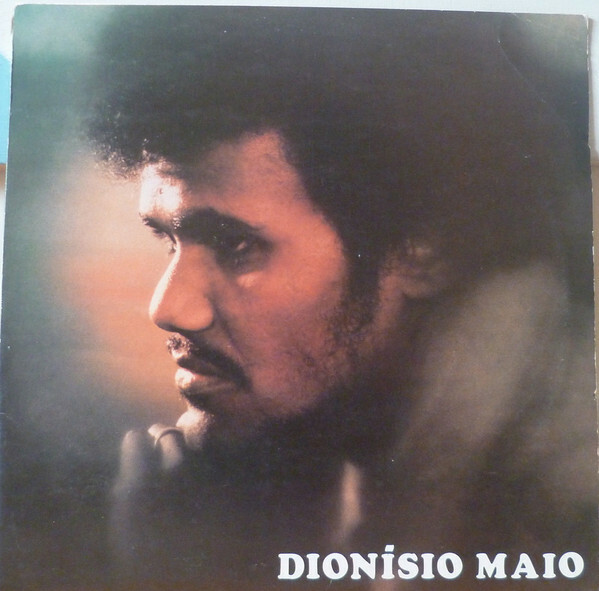 In 1984, Dionisio Maio released his eponymous sophomore album. It was recorded at Estúdio Musicorde, and featured Dia Ja Manche, which was written by Paulino Vieira of Bana. He arranged and played piano, percussion and guitar. Adding synths, was another member of Bana, Toi Vieira. They play their part in the sound and success of Dia Ja Manche. It begins as a jazzy, piano lead track, and quickly is transformed. Soon, it becomes melodic, celebratory and soulful as elements of Cabo Verde’s past is combined with the music of the present. Together, they create the music that thirty years later, has a timeless quality. 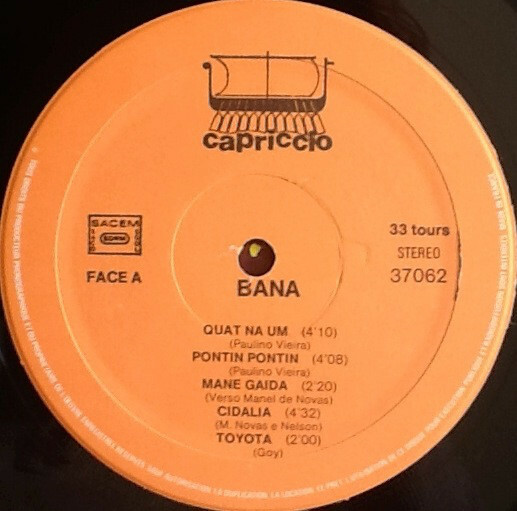 No compilation of music from Cabo Verde would be complete with a contribution from Bana. This is the stage name of Adriano Gonçalves. He was one Cabo Verde’s most successful artists. Bana were also a prolific, and recorded over twenty albums. This means that compiler Sammy Redjeb of albums to choose from. Eventually, he settled on Pontin Pontin, from the 1979 album Disco. It was released on the French label Capriccio. Despite the album’s title, there’s no way that Pontin Pontin can be described as disco track. Instead, it’s a morna track, which features the Brazilian halftone. This beat is quite different to what’s used on many Bana songs, and adds a Latin influence. It certainly ensures the song stands out. So does the piano, percussion and stabs of horns. The finishing touch is a heartfelt and soulful vocal. When this is all combined, the result is a memorable, soulful and dance-floor friendly song from the late, great troubadour. 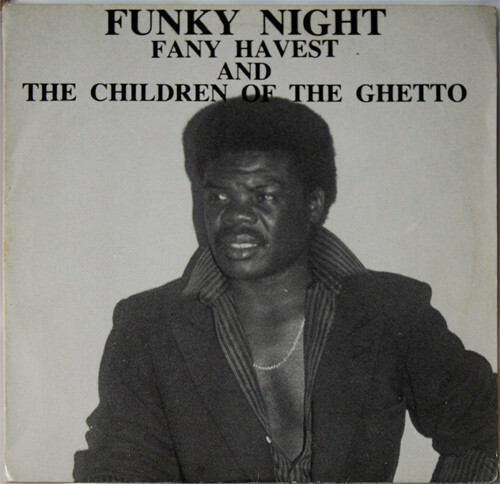 That Day is a track from Fany Harvest and The Children Of The Ghetto’s album Funky Ghetto. It was self-released in 1984.From the opening bars of That Day, it’s obvious something special is unfolding. It’s slow and moody with a late-night, smoky sound. However, before long, the tempo is rising and the band play with a degree of urgency. Searing and chiming guitar licks are at the heart of the arrangement, and accompany the vocal every step of the way. The is soulful, needy and impassioned, and is reminiscent of James Brown. Meanwhile the arrangement marries Afrobeat and funk. This is a potent and heady brew that results in one of the highlights of Space Echo-The Mystery Behind The Cosmic Sound Of Cabo Verde Finally Revealed! João Cirilo was a musical pioneer. He helped to modernise batuku, when he took to the stage with a synth. This was unheard of. That day, João Cirilo wrote is name into Cape Verdean musical history. 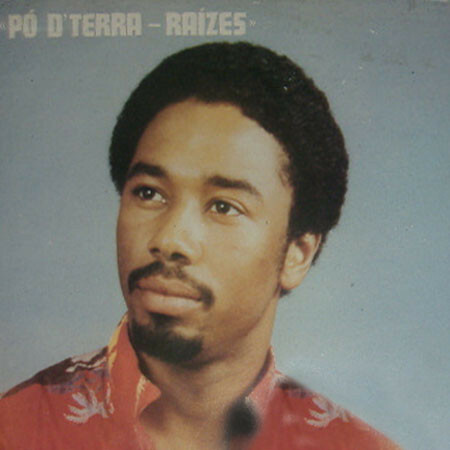 He also released several albums, including Pó D’terra-Raízes on the Edição Táki-Talá label. It featured Po D’Terra and friends combining musical genres and influences. Zé António unleashes and sprays a blistering guitar solo, while the rhythm section and Paulino Vieira’s percussion underpin the arrangement. Soon, synths are added and the arrangement scuttles along. Sitting proudly atop the arrangement is João Cirilo’s vocal on a genre-melting track where João Cirilo and friends combine elements of rock, Latin, funk and soul. Abel Lima features twice on Space Echo-The Mystery Behind The Cosmic Sound Of Cabo Verde Finally Revealed! 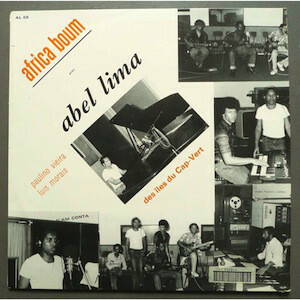 The earliest song from Abel Lima, was Stebo Cu Anabela from the 1980 album Africa Boum. It was released by Production Abel Lima. Stebo Cu Anabela is an irresistible fusion of Afrobeat, funk, rock and soul. Adding the soulfulness is Abel Lima’s vocal, while the rest of the band add a joyous, celebratory backdrop. He’s back later, to close the compilation. 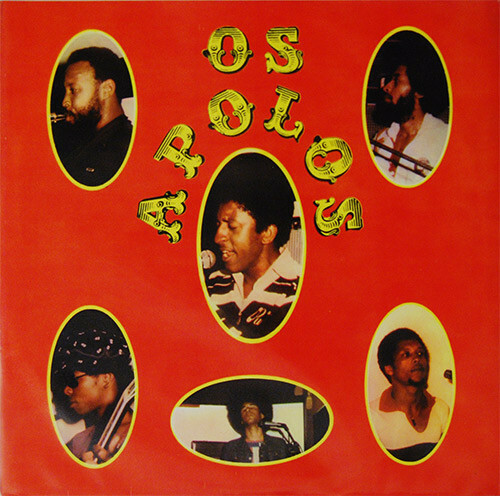 Os Apolos released a quartet of albums, including their eponymous album, It was released on the La Do Si Discos label and featured Ilyne. It’s best described as a fusion of Afrobeat, cumbia and jazz that’s urgent, irresistible and a call to dance. 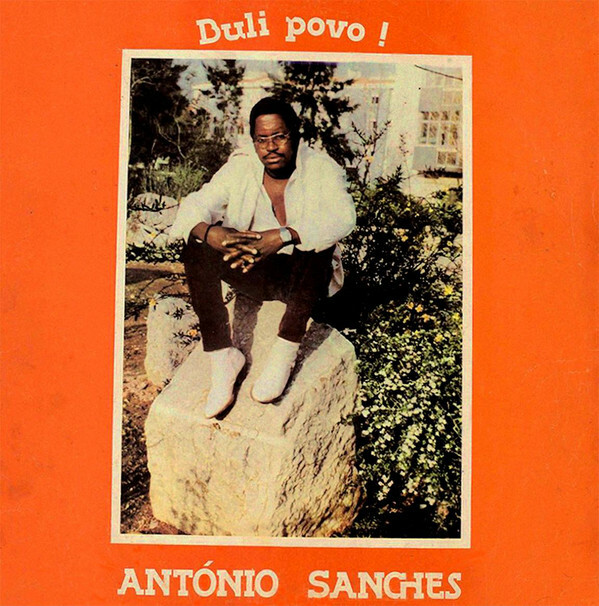 Djal Bai Si Camin is a seven minute epic from António Dos Santos’ 1983 self-released album, Bom Dia Nha Cretcheu. This is another rarity. When a copy change hands recently, it was for £110, €130 or $165. If the whole album is as good as Djal Bai Si Camin, then someone will consider that money well spent. It’s soulful, funky, jazz-tinged and full of hooks. 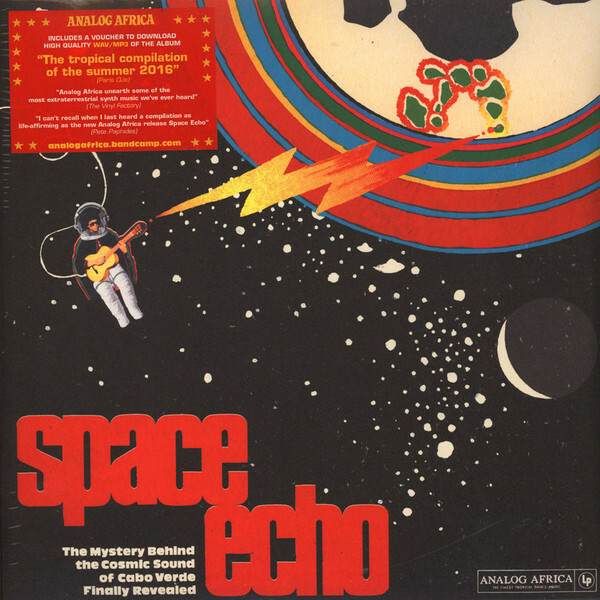 Closing Space Echo-The Mystery Behind The Cosmic Sound Of Cabo Verde Finally Revealed! 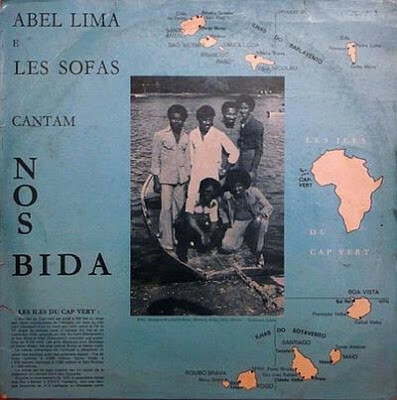 is Corre Riba, Corre Baxo which featured on Abel Lima E Les Sofas’ 1977 album Nos Bida. It was released on the Afrika New label, and nowadays is a real collector’s item. Copies don’t change hands often, but when they do, it’s for ever increasing sums of money. No wonder, if all the songs are of the quality of the joyous and celebratory Corre Riba, Corre Baxo. That quality is present through Space Echo-The Mystery Behind The Cosmic Sound Of Cabo Verde. It’s a perfect introduction to the Cabo Verdean music scene after it gained its independence from Portugal in 1975. After that, the Cabo Verdean music scene flourished, with artists and bands combining musical genres and influences to create new and exciting music. Often, the basis for this music is the of Cabo Verde’s past. Other times, the instruments are similar to those that were supposedly found on that mysterious boat in a field in mid 1968. I say supposedly, as there’s very little to substantiate the claims. If such a thing had happened, articles and books would’ve been written about it, and films and documentaries made. Conspiracy theorists would’ve had a field day. That has never happened, and is unlikely to happen soon. There’s a good reason for that, and that the shipwreck didn’t happen the way that folklore describes. Instead, the Cabo Santa Maria wasn’t found in a field, but in the Praia Boa Esperanca (Boa Esperanca Beach) in 1968. That’s where the Caba Santa Maria sits now. It’s now a rusting wreck, which was become a tourist attraction in the Boa Esperanca Beach. What’s unclear, is whether the Cabo Santa Maria was the ship that set sail from Baltimore en route to the ESME Exhibition in Rio De Janeiro? If it was, this begs several questions? Did the colonial police to report the discovery of the ship to the relevant maritime authorities and Lloyds of London? If they did, they should’ve been able to trace the owner of the ship. Similarly, the owners of the cargo, including the musical equipment could’ve been traced. However, despite having survived a shipwreck, the musical equipment was lost a second time. Just days after the cargo was removed from the ship to the church, the frantic search for somewhere to store the musical equipment continued. It had to be moved before Sunday mass. Amilcar Cabral the Marxist leader of anti colonial party had a solution, and one that would paint him in a good light. Like a Marxist Robin Hood, Amilcar Cabral, decided to give the musical equipment away. Schools and children were the beneficiaries of his benevolence. For the second time, the musical equipment was lost. This time though, it was lost for good. For Cabo Verdean’s Amilcar Cabral’s act of generosity meant that the story had a happy ending. However, this story is one that has been exaggerated and grown legs over the years. Most likely, the musical equipment was rescued from the ship, and was given to schools and children. That part of the story may be true. Apart from that, the rest of the story is akin to a modern day fairy tale.The rest of the story, about a flying ship and cosmic dust is somewhat far fetched, to say the least. Doubtless though, this tale will continue to be spun. That’s a great shame. There’s much more to Cabo Verde than fairy tales about a flying ship and cosmic dust. This includes Cabo Verde’s music scene, It’s documented on Analog Africa’s latest compilation Space Echo-The Mystery Behind The Cosmic Sound Of Cabo Verde. 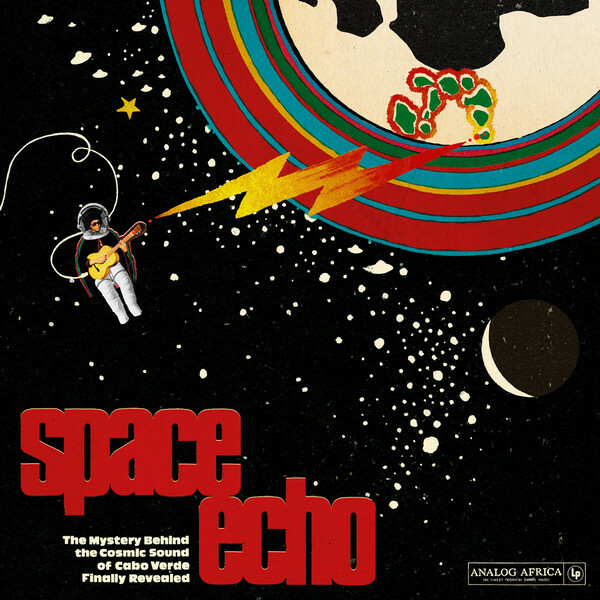 The music on Space Echo-The Mystery Behind The Cosmic Sound Of Cabo Verde is of the standard one would expect from a compilation baring the Analog Africa name. It’s a label that concentrates on quality, rather than quantity. That quality is apparent throughout the compilation, which is the perfect introduction to the thriving, eclectic and vibrant Cabo Verde music scene after independence in 1975. During that period, Cabo Verde cultural capital blossomed as a new generation of musicians got the opportunity to showcase their considerable talents. A reminder of their music can be found on Space Echo-The Mystery Behind The Cosmic Sound Of Cabo Verde, which hopefully, is the first in a series compilations documenting Cabo Verde’s rich musical past. ← VENEZUELA 70-COSMIC VISIONS OF A LATIN AMERICAN EARTH-VENEZUELAN EXPERIMENTAL ROCK IN THE 70S. An extraordinary story, told well. I enjoyed reading this. Thanks for your kind words. Glad that you enjoyed the review. I’m sure it’s a story that’s grown legs over the years, but it’s a good story. I had a look at tour blog, and enjoyed the articles. Especially the article on Pharaoh Sanders, one of my favourite jazz musicians. There’s a really good jazz box set that’s being released in a couple of weeks. It’s a retrospective of the legendary Impulse label, entitled Impulse! 1961-1974, and it’s a 25 CD box set. You will be able to buy if for around £42 from the website.